Chicken Coop Livestream #piday #raspberrypi @Raspberry_Pi « Adafruit Industries – Makers, hackers, artists, designers and engineers! We have two chickens, and their coop is located at the back of the garden. 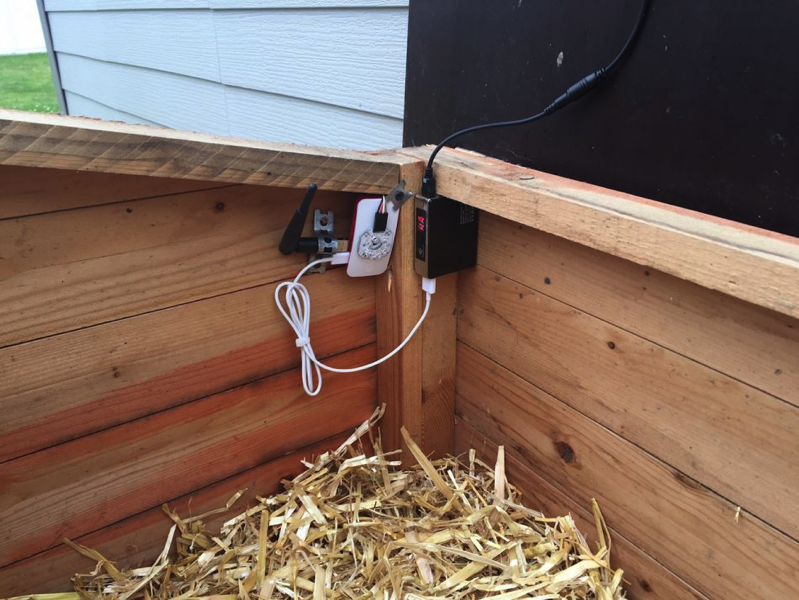 Looking for a project idea for element14’s Going Green challenge, I decided to build a Pi-based streaming device to check on the chickens and check for eggs. The idea is to use a Pi Zero with Pi NoIR and a set of IR LEDs which can be enabled/disabled on demand.